New Delhi : The renowned TVS Racing has announced the 2019 edition of Ladies One Make Championship. It will be the 4th season of the racing event which welcomes inspiring women racers from across India. The TVS One Make Championship is a golden opportunity for lady riders to compete in the Indian National Motorcycle Racing Championship (INMRC) which is set to commence from June. Prior to participating in the championship, aspiring participants need to qualify the selection rounds which will be held in Bangalore and Mumbai on 9 February and 23 February, respectively. The entry fee for participating in the event is Rs 1,000. On the day of selection for TVS Racing competition, the riders will receive training from TVS’ experienced racers for sharpening their riding skills. 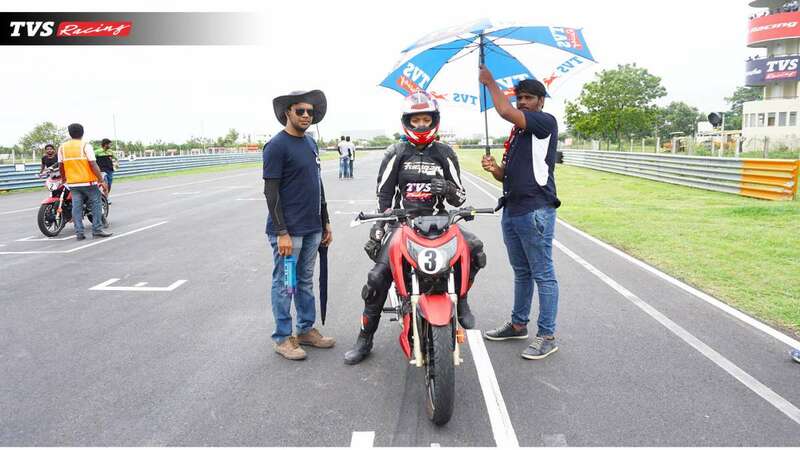 Based on their fitness and lap times, 15 women riders from each city will be selected for the final round, which will be held in Chennai at Madras Motor Race Track. The final round will see the selected riders from each city compete against each other to qualify into the final top 15 racers for INMRC. The selected participants will receive training for physical fitness and riding skills from the top riders of TVS Racing. The racers will compete astride the race-spec TVS Apache RTR 200 4V Race Edition 2.0. Finalists will receive training from TVS Racing’s top riders and also get to familiarise with the race-turned Apache RTR 200 4V at the pre-determined venues. The selection of finalists for TVS ladies racing championship will be held in Bangalore and Mumbai. It comprises of a full-day training school. All participants are required to possess a valid driving licence and arrange for their own full face helmet with double D-ring certified from DOT and ECE. There will be a limited number of racing suits available at the venue, but it is advisable to bring your own gear. The Rs 1,000 registration fee includes the cost of the training session breakfast, lunch, track time and a TVS Racing t-shirt. Also, riders will get to ride astride TVS’ racehorse, TVS Apache RTR 200 4V at both venues.